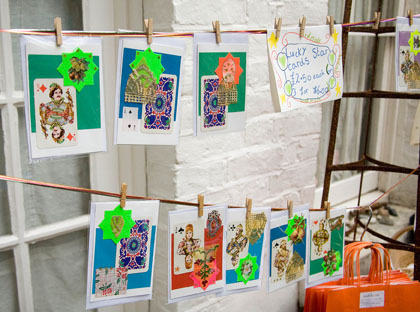 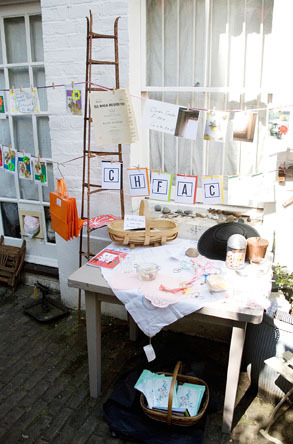 This weekend it’s Dulwich Open House for May 2012. 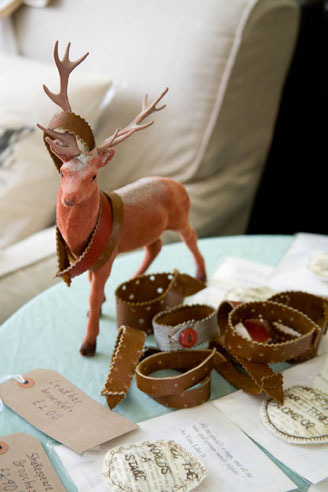 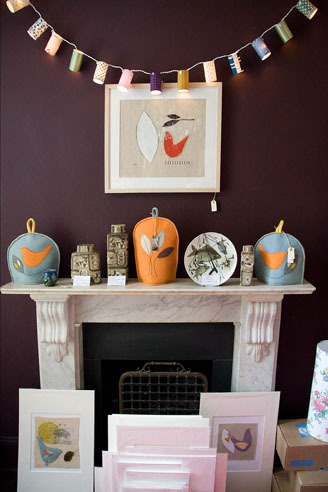 Hunted and Stuffed have been hanging out at Jo from Mot Du Jour’s beautiful house along with lots of other designer/makers. 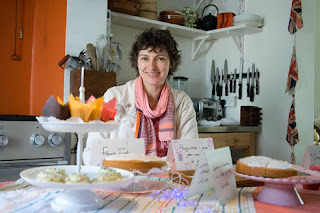 I took some photos to share with you of some of the goodies and people behind them from this fab weekend. 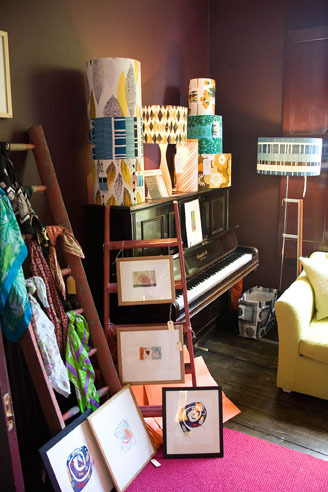 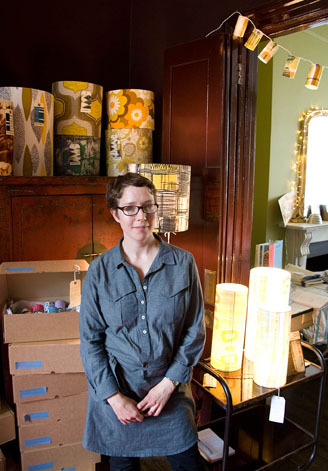 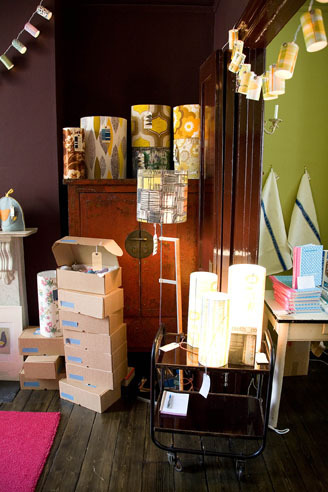 This is Rachael from Moth & Co with some of her lampshades made from vintage fabrics and silk scarves. I love her fairy light shades below. Always nice to meet a fellow upcycler! 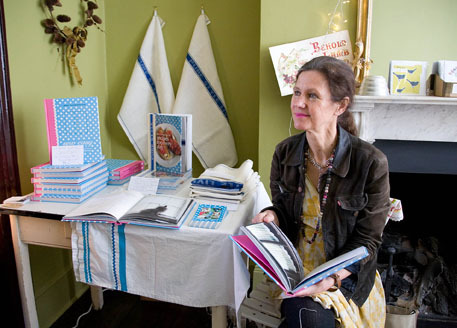 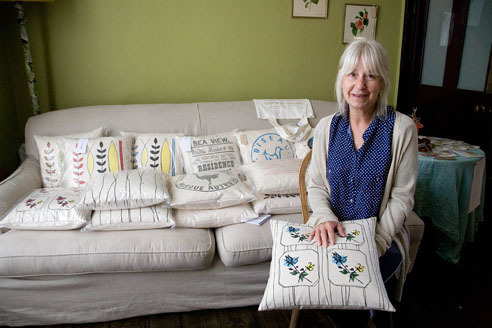 This is Joy from Random Retail holding one of her latest vintage-inspired cushion designs. 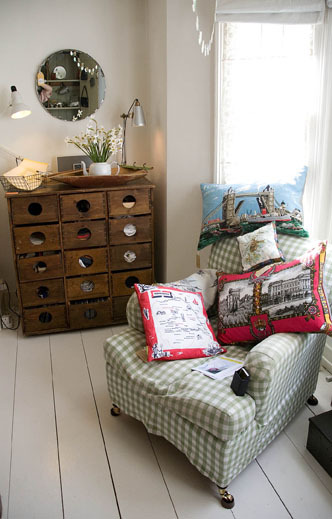 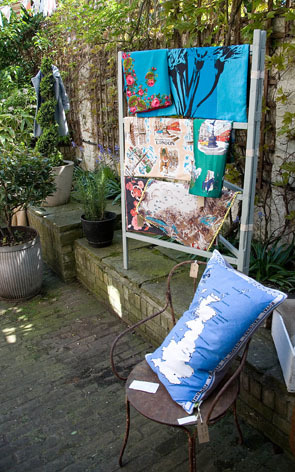 Oh look, some upcycled tea towel cushions! 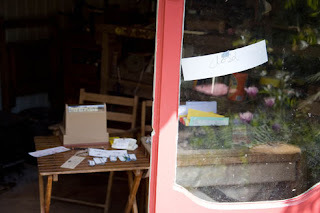 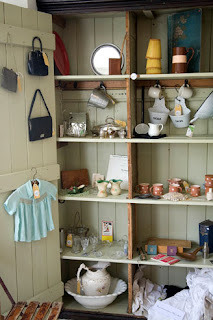 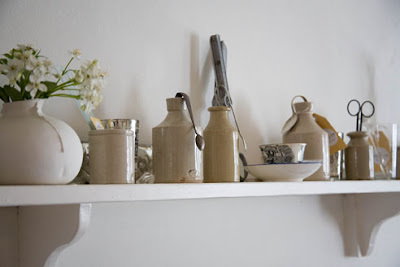 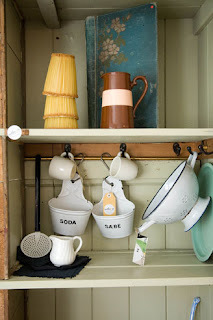 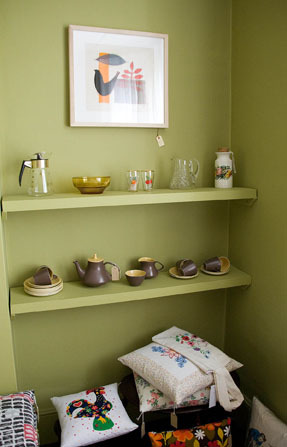 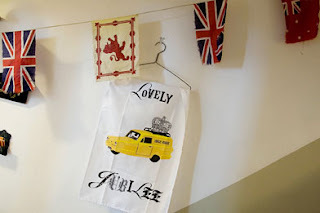 Mot Du Jour’s vintage goodies, loving the little yellow lampshades on the top shelf. 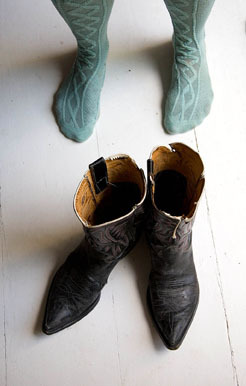 These boots are Jo’s definition of “Vintage”. Lovely Nel from Nel’s Cakes – as you can see she is nearly sold out. Speaks for itself! 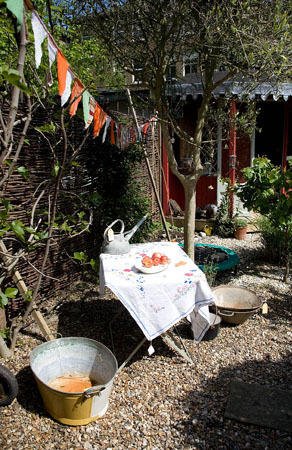 Out in the garden now, the rain held off for us. Yesterday the shop run by the kids from the garden shed was open for business and doing a roaring trade but sadly today, according to the sign, it is “Closd”.